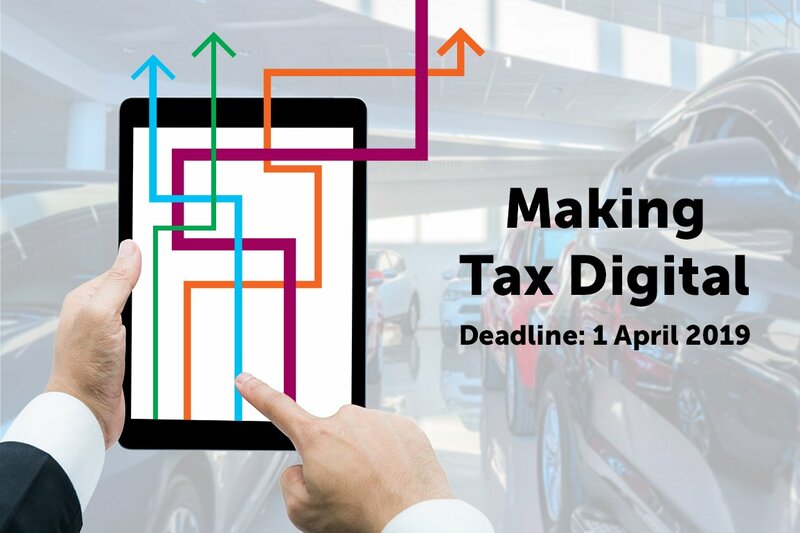 Dragon2000 have been in regular communication with the HMRC MTD development team on all things Making Tax Digital since 2017, so we have a good grip on what will be required by car dealers and service centres. Here we explain the basics, and can offer assistance if your dealership isn’t yet compliant. From 1 April 2019, all VAT-registered businesses with a taxable turnover above the VAT threshold (£85,000) are required to keep their VAT business records digitally and send their VAT returns using MTD-compatible software. What does that mean for my car dealer or garage business? In simple terms, you will no longer be able to manually type in the VAT return figures into the HMRC’s system – it must be submitted digitally. From the April 2019 deadline, any software that prepares a VAT return to send to HMRC for businesses required to use MTD must be MTD-compatible. This means that it can integrate with HMRC systems to send VAT returns to HMRC. Data must be exchanged digitally between all software used by a business for VAT – HMRC’s goal is to eliminate paper-based processes and manual data entry errors in reporting VAT figures. The usual HMRC deadlines for sending VAT returns and making payments will not be changing. Here is a bit of good news for DragonDMS users who use our comprehensive integration into Sage 50c for their accounting – you will not need to do anything for the impending Making Tax Digital deadline, as the Sage cloud software is MTD ready. You are already keeping purchase and sale records digitally within the DragonDMS software which are seamlessly transferred into Sage via our data integration, so you are already ticking all the boxes to be fully HMRC compliant for Making Tax Digital. You can relax come the first of April! My Accountant submits my VAT returns – will I be compliant? Provided that your accountant / book-keeper has registered as a tax agent with the HMRC to submit your returns and is using MTD compatible accounting software, then yes, this will comply as long as your business records are kept digitally. There are some exceptions who will have the start date deferred for 6 months, for a small minority with more complex tax requirements. We have seen articles in the media recently advising dealers that “many dealerships will be classed as complex” and will have a little longer to prepare. However, this only applies to categories of businesses that are trusts, ‘not for profit’ organisations that are not set up as a company, VAT divisions, VAT groups, those public sector entities required to provide additional information on their VAT return (Government departments, NHS Trusts), local authorities, public corporations, traders based overseas, those required to make payments on account and annual accounting scheme users. So don’t be fooled into thinking because you use the Margin VAT scheme this makes your business “complex” and you can kick it down the road until October… you do need to act now if you do not have any accounting software in place or a dealer management system to record your transactions digitally. The introduction of Making Tax Digital does not require you to keep any additional business records. However, business records must be kept digitally to be compliant. This is where our dealer management system comes in – our DragonDMS not only ticks this box for HMRC but has a wealth of included features that will streamline and help your business increase its profitability. Old Accounting Software or None At All? If you have older accounting software that isn’t MTD compliant, or you don’t have an accountant that submits VAT returns on your behalf, or you don’t have any digital accounting software in place at all – don’t panic. Talk to Dragon2000 today about our Making Tax Digital Package, so we can help your business to be fully compliant in time for the 1 April 2019 HMRC deadline. Please contact our Sales team on 01327 222 333 or email sales@dragon2000.co.uk for more information.